Fantastic shaving without the snap! 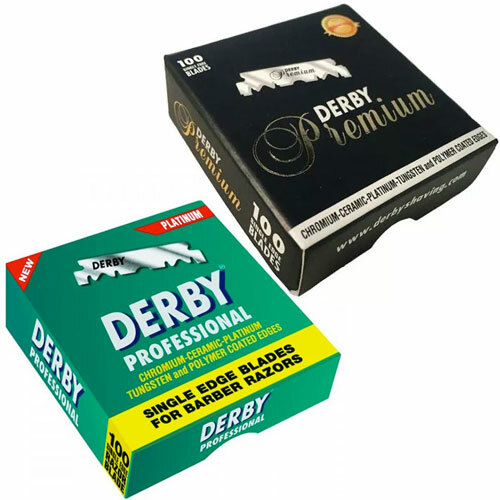 Turkish-made Derby Professional Single-Edge Razor Blades make it simple to fit blades into any standard cut-throat razor holder. No need to mess around snapping a blade in half! Each blade's cutting edge is made with chromium-ceramic-platinum tungsten and coated with a polymer for ultimate performance and comfort. The blades are then perforated, hardened and ground using advanced equipment for optimum edge strength. 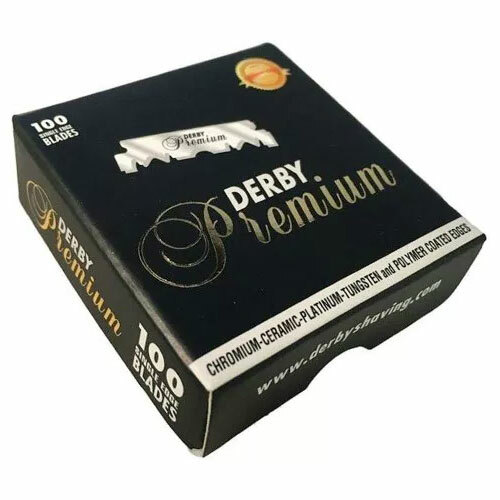 Pack of 100 blades in either Professional or Premium—Premium is made from higher grade steel for longer-lasting, better sharpness. £3.48 (inc. VAT) Why no VAT? We're a trade wholesaler and quote our prices without VAT to help our VAT-registered customers understand the true cost of a purchase. 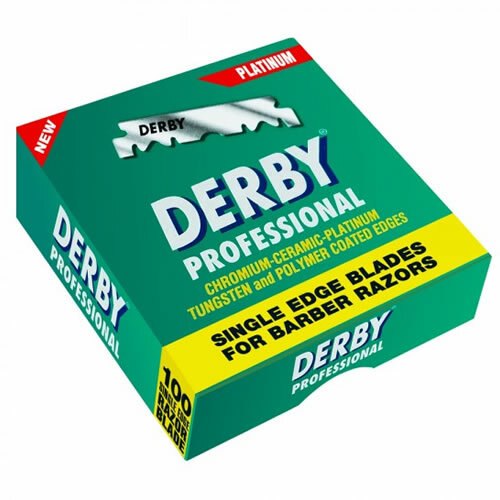 Double edge razor blades made in Turkey from Swedish steel. Pack of 100 blades (20 packs of 5) in either Premium or Extra .